We are a located in the heart of the Rocky Mountains in beautiful south eastern British Columbia, Our territory is located adjacent to Kootenay National Park and borders the beautiful Columbia River. We are a small operation focused on providing the best possible service to each of our clients, and are able to cater to a wide range of client needs. 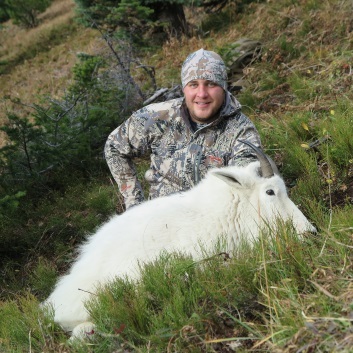 We offer several different trophy hunts throughout the year, where our clients experience not only the exhilarating thrill of the hunt, but also witness the beautiful scenery and wilderness that BC has to offer. If you are interested in going out for a trophy hunt, looking for a unique and memorable hunting experience, or looking to try something new and exciting, call us up. We’ll be happy to guide you.